Are Promotions Always Helpful For a Casino? The answer is yes; there are many times that a casino is better off not doing any promotions. It’s also beneficial for a casino to even realize that rescheduling promotions may result in more success. What Are Some Other Factors to Promotions? More isn’t always better. Promotions can be very costly, and there are also no guarantees that they are going to be successful. Promotions that are successful come from experience and accurate data analysis. These two combine to schedule a successful promotion run. The acquisition is usually one of the most important factors for promotions. Casinos always look for new players so that they can grow their database. The bigger the database is for a casino, the more chances are available for casinos to tap into loyal big time players which can result in having a larger source of revenue. An effective promotional campaign can reel in new customers by targeting the desired audience using data analysis. The next step would be to use creative promotional ideas to reel in the customers according to what they like. Loyalty is another factor that is very important in casino promotions. To build a customer’s loyalty, you have to make the customer feel like the casino is their second family. This means plenty of interactions with the loyal customers. Having social events planned for the loyal guests is necessary so that they can socialize with other loyal guests and build a bond with them. This may result in making the casino a social outlet for them where they go to have fun, spend time with their friends and also spend their money. Scheduling is another one of the very important factors that make or break a promotion. You have to consider the conditions of your casino and schedule promotions accordingly. This means analyzing the data and figuring out whether there is a need for promotions or not. For example, days like New Year’s Eve won’t need as much promotion in certain areas. Over-promoting can only work against a casino in such situations. When Are Promotions Helpful to a Casino? The main point to promoting is to make money. If the promotion is going to cost a casino more than what they are going to make, there is no point in going through with it. The only exception to this is if the casino is trying to launch a new brand. A good example would be Atlantic City, they decided to re-brand themselves from a classy marina hotel to the hot spot on the boardwalk. This promotion was done to attract the younger crowd. It started with huge deck party promotions hosted by Van Halen and lasted all summer long. The expenses for this promotion were a bit extreme, but it successfully tapped into a new market and gave the casino a “wild side,” which is what they are known for nowadays. A key to success is analyzing the data from promotions. Not only can it help us understand whether the promotion was successful or not, but the valuable collected data can be a guideline for similar situations in the future, helping casino industries find flaws and apply improvements in the future so that we can execute even better than before. It can also help us in scheduling promotions, getting the best out of them. Visit Profit Builder HD online at http://www.profitbuilderhd.com or contact us by phone at 303-835-8354. Casino hosts use the limited amount of data and sources they have available to them to determine which of their players spend material time and money at the casino. Talking to the guests is one way to go about it, but there is no guarantee that it is accurate. There is a high possibility that the guests will provide information depending on how it would benefit them in the end. Wouldn’t it be amazing if we already had the information about the guests? We can use this information to recognize the guests and provide them with first class service. The secret weapon that we are talking about is no other than Data Analysis for client’s frequency and value outside of the casino. This can help a casino have an advantage over others in many different ways such as choosing which host to assign to a certain guest and helping them pamper guests according to what they like. If big time players from other casinos make their way to your casino, you won’t be able to notice them and give them the attention that they need in order to turn them into a loyal customer. But, if we have analyzed different data about players from competing casinos, we will have the ability to spot them as soon as they get into the casino. This can give a casino the advantage to assign a host to such players as soon as they step into the casino and have their experience be as unique as possible. Casinos use predictive analytics to foretell a customer’s next steps, anticipating the customer’s needs and delivering accordingly. But, there is much more to it than just that. Analytics are also used to help manage the service environment so that they can improve profitability, and most importantly, consumer experience. Rumors circulate that casinos pump hyper-oxygenated air to the casino floor so that the players can be in a cheerful mood as they engage in gaming. We’ve also heard that casinos are able to control the player winnings with a button from the basement. Ostensibly, none of these are accurate. 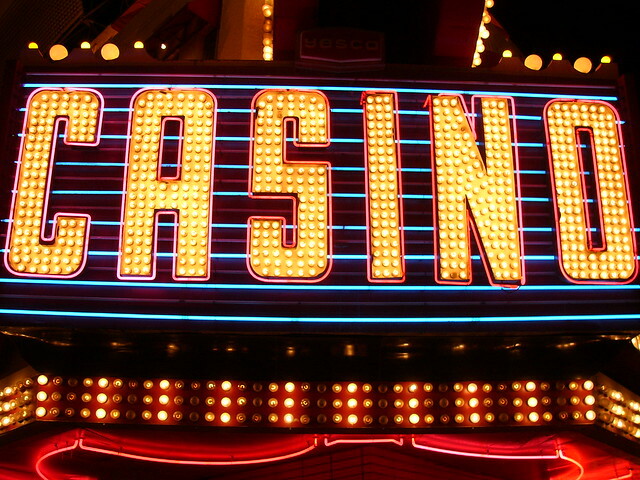 A casino’s success comes from a mixture of predictive analysis and maintaining a top of the line service environment. The goal is to keep the customers satisfied and engaged as much as possible. A single bad decision while operating the casino floor can lead to a significant loss of revenue and, more importantly, the customer’s loyalty. Table and machines have to placed on the casino floor according to player interests; we want them to keep asking for more so that we can provide them with different varieties. For example, if the collected data implies that the customers for a certain casino are attracted to table games, that casino should be filled with different varieties of them. Service experience is vital. If a meal has been offered to a player, it is important that the casino has a seat available in the restaurant for that person on arrival. Guests who have to wait for service in a restaurant or some of their favorite games, might be tempted to take their business elsewhere. Service experience is essential to impress customers and keep them loyal. This is possible through the massive amount of data collected and analyzed about the customer in order to satisfy their needs. Another use of data analysis is to make sure that each customer is recognized and treated appropriately, constantly and especially if they are high rollers. There are a large variety of uses for data analytics in a casino. Service experience is one that can a large impact on long term profitability. Data analysis can be used to make sure that the client is not turned off by excessive machine downtime. It can help a casino choose the right games, put them in the right places, attract loyal customers and maintain their needs. Data analysis is needed in order to optimize every aspect of casino operations. Managing the client’s service experience is the most important part in building a loyal client base. When customers are gambling for a while and start to lose, their enjoyment level decreases. This is when the casino needs to offer them incentives so that their enjoyment level can increase again. This process is possible with data analytics. The staff can be notified of losing customers so that they can attend to them and eventually make loyal customers out of them. Let us help you recognize the errors or opportunities constantly as we lead you towards success. visit Profit Builder HD online at http://www.profitbuilderhd.com or contact us by phone at 303-835-8354. With enormous amounts of data going in and out of casinos, most of this data goes to waste without being put to good use. Big data usually comes in formats unfamiliar to business managers. Data from the casino floor and customer profiles are easy to access and understand. However, 70-90 percent of the data coming from casinos are in unstructured formats such as e-mails, blogs, click screen data, call center records, text data, GPS and location data. This data has a lot of room for beneficial opportunities but often goes underused because they are unstructured. Structuring unstructured data such as guest surveys, social media, call logs, etc. can help a casino build a more personalized experience for the consumers and also reach more people. A good example would be reaching out to people that talked highly of you and rewarding them for speaking highly of your casino. Our purpose is to help you use that data and get something good out of it instead of just letting it go to waste. Visit Profit Builder HD online at http://www.profitbuilderhd.com or contact us by phone at 303-835-8354. Most Las Vegas casinos didn’t appreciate the Ocean’s Eleven movie series as much as general audiences. While the movie series didn’t inspire any backlash or a quest for vengeance, casinos are becoming smarter by the day, searching for new ways to get the most out of people’s visits. Casinos and their marketers are learning to use new ways to go digging for gold in their untapped data mines. It’s only a matter of time until they strike for gold as they form a strategy using data analysis to improve market targeting. The majority of the data comes from the player’s cards. This card holds valuable data regarding consumer habits in over 500 categories such as gaming, accommodation and restaurants. One of the main reasons for casinos to steer towards data analysis was the economic crash in 2008. This had a considerable effect on the casino market. O’Dell said “People’s habits changed. We really needed to see what the new habits were.” According to a GLS Research, there is a decline in gambling, but people are spending more money on food, nightclubs and shows. Personalized marketing can target more specific groups, this will result in increasing the chance of engagement by a large margin and generate more profit for the casino. Visit Profit Builder HD to get more information about personalized marketing. Many different organizations look for more intelligent ways to connect with their customers. These organizations have many ways to communicate with their customers, but the key is to catch their attention and stand out. Predicting what form of communication will catch the reader’s attention, standing out, and engaging with them while they go through many similar types of communication will be the key to having the edge over competitors. Communications are in forms of statements, correspondence, bills, invoices and even advertising or flyers. This form of communication could be delivered in many different methods using the web, emails, smartphones, tablets and even paper formats. Predictive analytics gathers data from multiple sources, reveals trends and transforms them into information. Buying history, web or physical navigation patterns, and reactions to the previously presented offers are all major tools for this process. Predict what the next purchase of a customer would be based on their purchase history, and present them with offers and coupons to encourage the sale and strengthen loyalty. Study the engagement of the players and determine if they are slowly fading away from the casino. If so, find new ways to promote and attract them to the casino. Target emails to certain groups based on their previous playing patterns using segmentation. This could be used to find ways to attract them to the casino in ways most attractive to them. Placing personalized ads on receipts, coupons, and even personalizing the players kiosk to where a swipe can open a world of promotions and games resulting in profit and loyalty. Profit Builder HD specializes in predicting customer behavior and putting analytics into action. Contact us for more info. In the past two decades, a noticeable change occurred in casinos strategies. Many casinos have turned to data analysis to predict many different aspects in the casino, including player habits. This doesn’t necessarily happen with a crystal ball, but it’s pretty close to it. Some leading casinos use this method to predict how they can turn some of their medium range spending regulars to high rollers, so that they can maximize their profit and have them develop into loyal customers. Offers, comps and perks given to the right people can make them want to spend more and become frequent big spenders. Casinos are coming to a realization that there remains plenty of untapped potential in non-gaming activities such as events, restaurants and shops. These assets can be a major key to increase customer loyalty and profitability. Business Intelligence: This is basic customer profiling and reporting. Mostly done manually. Segmentation of Customers Based on Profitability: This is what molds messages and promotions to fit the customer needs, and also to be able to attract them to the casino. Prediction: This helps casinos foresee the future value of customers so that they can make the right decision in choosing the right customers to pamper. 360 Degree Customer View: This can help a casino improve their predictions using the information collected from all casino systems such as, gaming, lodging, spa, restaurants, etc. Campaign/Offer Optimization: This is the final step that can help casinos make smarter decisions regarding campaigns/offers so it can lead to optimizing revenues and profitability. Hotels and resorts are data consuming machines that accrue tremendous amounts of data at a time. In this article, we will talk about how Customer Segmentation, Customer Profiling, Site Selection, Forecasting, Personalized marketing, and even Energy Consumption can optimize profit and help a resort succeed. Most resorts underuse their data, but little do they know how to make revolutionary changes with them. The right analytics help a resort become very successful. Many hotels and resorts only rely on the traditional loyalty program. These help to an extent but more can be done with data analysis. Hotels and casinos can use data analysis to get to know the customer more on a personal level. This includes their needs and expectations. Data can also be used to identify the profitable customers and their buying habits. Or, it can even help with finding opportunities that can attract new guests. It is very important for the staff to understand their guests’ preferences (locations, activities, and room types), or even their purchase behavior (frequency, a length of stay, time of year) in order to increase brand loyalty. Focusing on the wrong guests can reduce profit across the resort. The choices made for promotions regarding guests determine profit level so having a tool to help make the right choices is essential. An effective approach is to identify a certain group of people according to their interests. This divides the customer base into different groups so that different marketing strategies can be used to fit their specified needs. Personalizing customers’ experiences make their stay even more enjoyable. This customization can be the difference between a forgettable, mediocre experience, and a unique memorable one that can turn a guest into a loyal fan. Customer service has always been an essential part of the hotel/casino industry. Nowadays, by using data analytics, we can provide the best customer experience possible. Customer profiling is the analysis of guest demographics and lifestyle characteristics, including income level, family status, age, sports and cultural interests. This can be used to create an e-mail list of targeted segments of current and prospective clients. It can be very helpful identifying people most likely to respond to marketing/promotional offers, a method to determine which market segments are the best options as far as productivity and profitability. Data analysis can also be important in determining things such as locations for a restaurant, spa, store, or any other option within a resort/casino. There are many things that can be used as data such as how people move about the casino, what they are more likely to do in certain parts of the casino, what business would do better closer to another business and many other variables to maximize profit. Forecasting is one of the most important benefits of data analysis. This can help businesses within a resort to be more efficient and deliver above a customer’s expectations. This type of data analysis can help us predict different variables in the casino more accurately, helping businesses plan better so that they can exceed the needs of their clients while they maximize profit for the resort. Efficient staffing, purchasing, preparation and menu planning can be some other perks of forecasting. The best marketing is one based on the client’s personal needs. In this method, you can give them personalized offers based on what each client would need. For example, if you know a client comes in town for business every month and goes to the restaurant located in the resort, send them an incentive around the time predicted for their stay, and also related to things that they would do during their stay. This will show them that you really care about their stay. Sixty to seventy percent of utility costs are made up of energy consumption, the use of data analysis can help with energy efficiency without sacrificing the guests’ comfort. Data analysis combines information such as the weather, amount of people in the building, electricity rate and also the buildings energy consumption. Data assists with saving energy so that you can save money and the environment. If you want to be a step ahead of your competition, visit Profit Builder HD online at http://www.profitbuilderhd.com or contact us by phone at 303-835-8354. Data did not traditionally drive casinos. Today, analytic tools are game changers. Casinos driven by analytics will have the edge in an ostensibly competitive industry. In other words, lacking analytical technology is like trying to swim away from sharks. It won’t take long before they (competitors) catch up to you, eat you and move on. Analytical technologies can help predict the outcome of moving casino games from one area of the casino to another. A bundle of information is gathered on how much money each game brings in (table games or slots) or even the patterns of how people move in the casino. This data can be combined with the payout odds of a certain game. It can guide the analytics team in predicting the best location for the game in order to optimize its performance level. Believe it or not, resort operations are a major part of the revenue as opposed to gaming. If free rooms and discounted dinners are used as bait to attract people to the casino and promote gambling, the casino will lose money. This is because there are some people that don’t like to gamble as much and would only take advantage of the offers. Customer analytics can help choose the right people to offer the incentives. It will use information such as how often the targeted individual gambles, how much money they tend to spend in the casino and what kind of games they like.